Safe method of Manual Handling teaches operatives how to Lift, Pull, Carry and Moving large or Heavy objects. 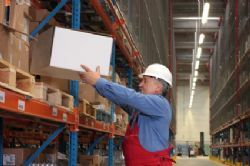 Course Aim is to enable operatives in the workplace carry out Manual Handling techniques correctly to help prevent injury. Identify the health problems from poor manual handling. List what to check for prior to moving an object. Be able to demonstrate the correct handling techniques.